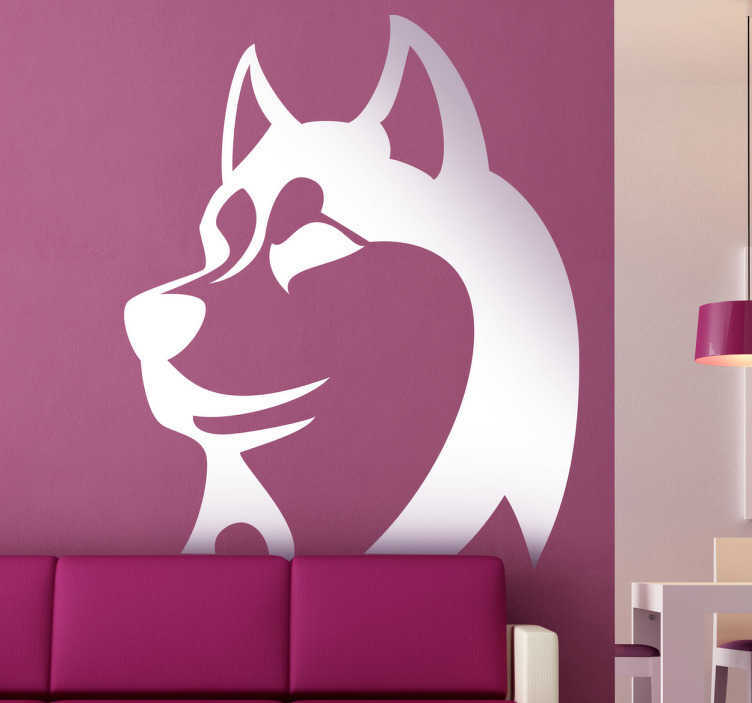 Dog wall decals - A silhouette illustration of a Siberian Husky. Great for dog lovers. If you are a fan of husky´s, and want to create a cool, sled dog atmosphere in your home, then decorate your place with one of the most loyal dogs you can get. Available in 50 colours and in various sizes.